It’s fairly common knowledge the relationship between Stanley Rule And level Company and Leonard Bailey was a bit rocky throughout their time. There was numerous litigations throughout Bailey’s career. Both the Defiance and Victor names were eventually bought out and became the ownership of Stanley. 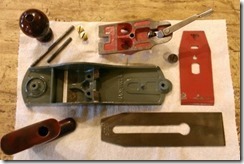 And with the Victor line of planes, just like the Defiance line, they were the early Leonard Bailey made planes. Much later Stanley used the name on a line of planes. 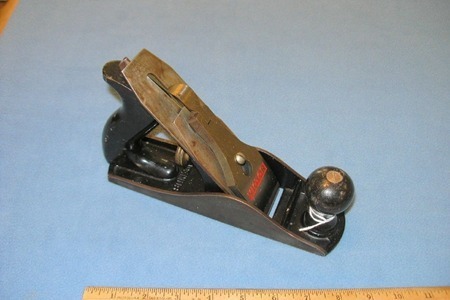 Leonard Bailey made a line of Victor Plane from 1876 through 1888. The Stanley Victory line were made from 1936ish to 1942 and again in 1952 and 1953. Keep in mind the two Stanley offerings were in fact two completely different plane designs, and these were certainly different than the real Bailey design. Naturally these are completely different planes. The original Bailey’s currently demand collector prices and were well made for their time. The Stanley made were made similar to the Stanley of the same time period. They were not nearly as good as the Stanley Bailey. The casting wasn’t as good, the lateral was cheaper made and folded metal, and the later models were painted not japanned. From a catalog insert in the Dealer’s Catalog #138, we learn during this time period there were only three “real” Victor planes. They were the number 1103,1104 and 1105 planes. 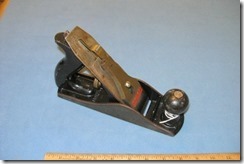 Also sold in the Victor line were the 120 Stanley block planes. 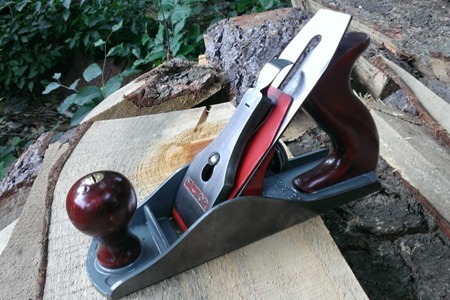 The numbers assigned and the description of these match exactly with the number and description of the 120 block planes in the Stanley line. 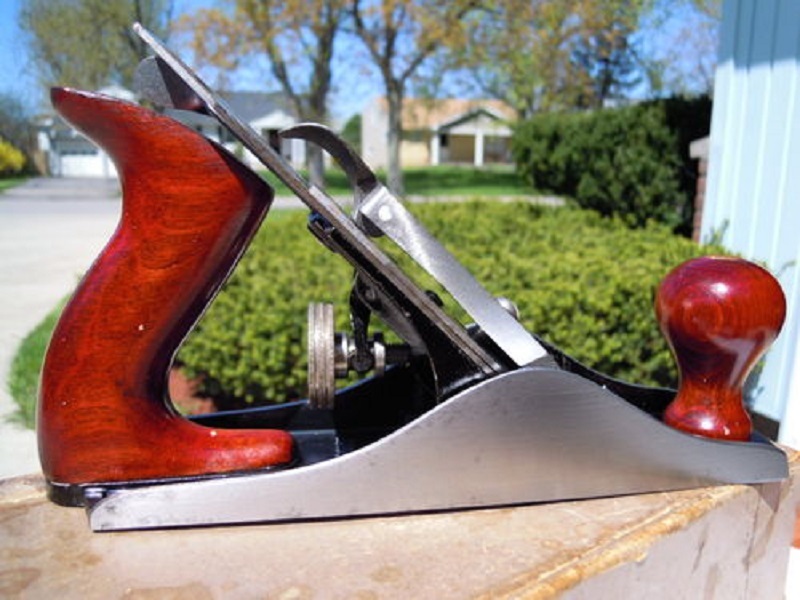 The bench planes of this period, 1103,1104 and 1105, were marked on the cutter with VICTOR on the top line followed by Made in USA on the second line. This is the only marking noting the brand anywhere on the plane. The bed is marked Made in USA. The finish on the bed and frog is black japanning. However, there are characteristics which also “mark” this plane as a Victor. 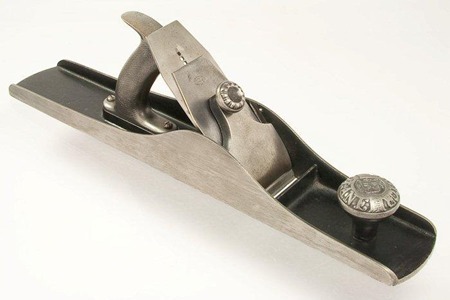 The Victor line was designed to be an intermediate-priced line between the Defiance line, for home and farm, and the Stanley Bailey professional line. Because of this the planes have features different from either of the other two lines. The bed is identical, down to casting numbers, to the bed of the Defiance plane of the same size and time period. It is a Defiance bed! The frog is also a Defiance frog of the period, but the lateral adjustment lever is different. The Victor is a twisted lateral with a friction disc; the Defiance lateral is of the stamped folded steel type. 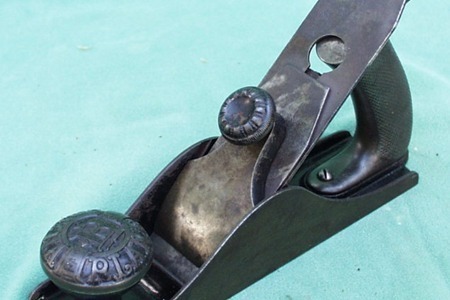 The cutter adjustment knob is a larger size, 11/4 inch, similar to the Bailey line, as opposed to the Defiance which is I inch. 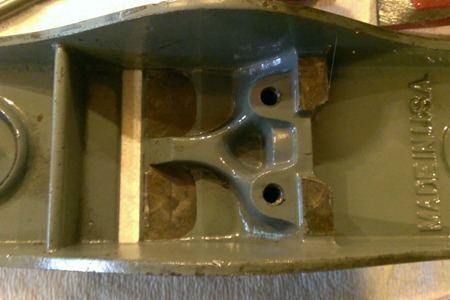 The cutter is of the squared-corner type similar in design to the Bailey cutter and is marked as mentioned above. The handle and knob are made of mahogany (Defiance is beech, Bailey is rosewood) and has a design and red finish similar to the Defiance handle and knob. 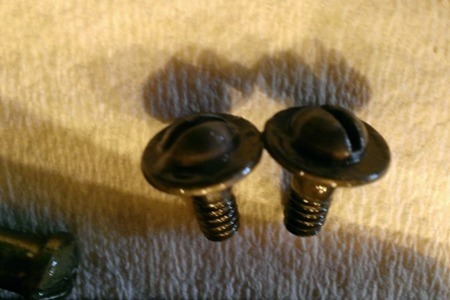 The handle and knob retainer screws are two-piece with a threaded rod and brass screw on top. 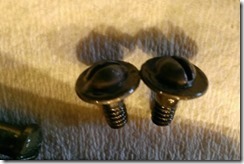 The lever cap matches exactly with the Defiance lever cap but is heavily nickel-plated. As mentioned the Victor is in the middle price bracket. The 4-size planes were priced as follows: Defiance $2.19, Victor $3.20 and Bailey $3.95. In both 1952 and 1953, Stanley marketed the Victor line in con junction with National Hardware Week. The bench planes were the same both years except for color. In 1952 the bed and frog were black and in 1953 the bed was gray and the frog was red. A flyer from 1953 indicates that in 1953 the number 1104,1105 and 1120 planes were offered. However, there are three 1103 Victors known with what would appear to be the 1953 color scheme, though slightly changed from that of the 1104 and 1105. The bed is gray, but the frog is black instead of red. These bed colors are in keeping with what was happening to the bed of the Defiance plane of the period. Defiance beds changed from black to gray color in 1951 or 1952. The bench plane beds no longer match the Defiance beds. The Victor bed has a raised reinforcement at both toe and heel with the toe reinforcement connected to the raised ring, which the knob sits on. This bed is very close in design to the Bailey bed, though without a frog adjusting screw. The number 1103 has the same reinforcements, but also has No.3 divided and cast in the bed in front and to either side of the knob. 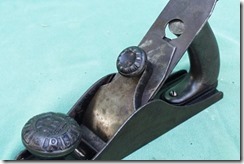 The frog, lateral adjustment lever and cutter adjustment knob are all identical to their counterparts on the Defiance planes of the period. The cutter adjustment knob is steel. The cutters are of the square corner type used on the Bailey and are marked in three lines VICTOR, by Stanley (in script), No.1104 or 1105. As with the bed, the 1103 cutter is different. It is of the round corner type similar to the Defiance cutter of the period, is slightly thicker (.025 of an inch) and is marked in three lines VICTOR, No.1103, Made in USA. The lever cap on the 1104 and 1105 is cam lock with a spring under the cam, is nickel-plated and has VICTOR cast in with red paint in the recess around the letters. Again the 1103 is different. The lever cap on the 1103 is of the Defiance type, with no spring, no nickel plating, and it does not have Victor cast into it. The handle and knob are Defiance copies and were painted black in 1952 and stained mahogany in 1953. The chip breaker on the 1953 models 1104 and 1105 is painted red. The 1103 chip breaker is unpainted. The differences between the 1952 and the 1953 models are: 1) 1952 bed, frog and wood parts are black, while the 1953 model’s bed is gray, frog is red and wood parts are red; 2) 1952 model has an unpainted chip breaker, 1953 is painted red. 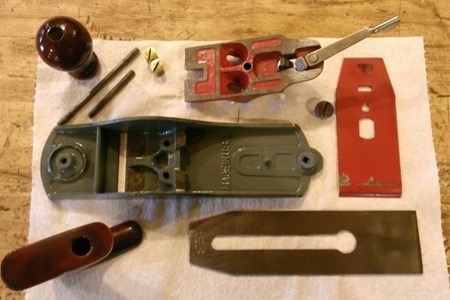 By far the most common Victor bench planes are the gray and red ones of 1953 production. 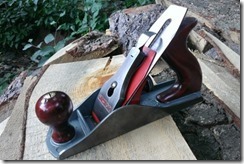 There are also two block planes from the period. There is a non-adjustable 1120 from 1952 and an adjustable 1120 from 1953. The 1953 model cutter is marked VICTOR, by Stanley (in script), NO.1120 in three lines, while the 1952 model has no number on the blade and is marked only VICTOR, by Stanley (in script) in two lines. The Victor on the cutter is the only identification of brand on the plane. The cutters of both models are one and five-eighths of an inch wide. The 1952 model is a copy of one of the Two Tone OH 20s, which was sold as the special during National Hardware Week in 1950 and 1951. It has the blade marking mentioned above. The bed is gray with a two-post integrated frog, the lever cap is red and has a lever cam lock, the wood knob is bright red stained like the wood parts of the 1953 bench planes. The bed is marked MADE IN USA behind the cutter rest. The 1953 model has the same gray bed as the earlier model but has the MADE IN USA moved back about one-half inch. This is to accommodate the post for the twisted sheet metal endwise cutter adjustment lever. The lever cap is cadmium plated with red paint over the cadmium below the cross bar of the plane it locks into. The lever cap lock down is accomplished by a black wheel-type screw-down locking mechanism. The wood knob is much deeper red than the earlier modeling’s.